Easily to assemble. Suitable for any headlights, fog lights, side marker lights, tail lights, etc. Dark Black:75%. DARK BLACK. Light Black: 90%. Ultra Clear. Prevents Light Discolouration. Light transmittance of available colors. Style: 200 different styles ! Random styles. Sun protection and Waterproof ! Clean then surface ,then sticker on ,Use your imagination to create works. We will be glad to reply and help you to solve any problem. Aussie Seller , Anti Scratch , 3 Layers Design !!!!!! Materials: High flexible polymeric PVC film Release paper Color: Gloss White Face Feature: - High stretchable ability - Can be cleaned with detergent and water - Durable - Scratch Resistant - Resistant To Solvents - Easy Cleaning & Maintenance - Stylish - Can Stick Anywhere Air Free Release Used :Cars & Vans, Trucks, Watercraft, Laptop, Cell phones, Wall, Furniture etc. Durability :Outdoor 2-3 years, Indoor 5-7 years Note: 1. Romote areas will need extra postage as these areas. Black 3D Carbon Fibre Vinyl Film Wrap. The future of complete customisation is here. These are the films used by professionals, not the cheap ones that are widely available. Just apply heat to the vinyl to smooth out any creases and fold marks. Style: 400 different styles ! Random styles. Sun protection and Waterproof ! (so cool ). 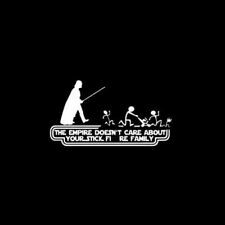 Cute sticker. How to use the skin: Clean then surface ,then sticker on ,Use your imagination to create works. CRAZY SALE!! TOP Quality!! SYD FAST SHIP!! Description 100% brand new with great quality; High-grade PVC material, high durability, great compactness and not easy to fading; Perfect for car light protection and decoration; Removable without damaging your lights and no glue residue to clean up; Easy to install, high performance outdoor film, will not chip, crack or peel. Specifications Condition Brand New Material: PVC. Color Matte Black Package: 1 x Headlight Tint Film Sticker Brand Unbranded/Generic Manufacturer Part Number Does Not Apply UPC Does Not Apply. One roll pinstripe vinyl decals. 12mm 1/2" Pinstriping Pin Stripe Vinyl Tape Decal Sticker. Cannot stick on matte wrap surface. Easy to trim and install for customized look. All Trademark & Logo, Property of their Respective Owners. 1x 5D Carbon Fiber Sticker. - Looks & feels similar or better than carbon fibre bonnet and hard-top. - Adhesive backing with air release technology for a bubble free installation. 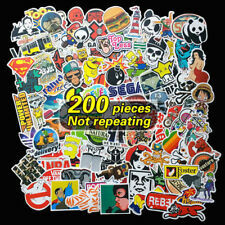 - Compatibility: car decoration, architectural decoration, cut out for stickers. Window water wiper tool ,Quick Drying Wiper Blade Squeegee. - 2pcs 3M Felt Squeegee. - 1pcs Vinyl Safety Cutter. - Vinyl install tools, building tools, industry tools,car film sticker cover tools kits,auto car styling tools, window tints tools, sticker and paper cutting tools. When you receive your film, you may see air bubbles between the protective film layers and the vinyl. This does not mean that the film is damaged. Once the protective layers are removed then the vinyl will look the way it should. If you do not have experience installing vinyl such as auto wrap vinyl or window tint, then we do recommend you consult an experienced professional to have this product installed. Specifications Condition Brand New Material: PVC.Glossy Finish Color:Dark Black Description. Size: 151cm(L) x 50cm(W) (Approx). - 1x 5 D Black Carbon Fiber Sticker ( 151cm x 50cm ). - Sizes are available to wrap dash parts, mirrors, trim or the whole exterior of the vehicle. - The material can be used on the interior or exterior of any smooth surface on your vehicle. PREMIUM!!! CRAZY SALE!! TOP Quality!! SYD FAST SHIP!! HSV Brake Caliper Decals. 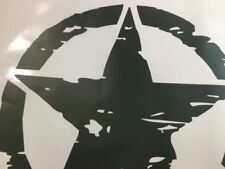 2 X LARGE DECALS (for front calipers). 2 X SMALL DECALS (for rear calipers). GLOSS BLACK. HIGH TEMPERATURE VINYL. Vinyl is heat resistant to 100 Degrees Celsius. AUSTRALIA WIDE. HSV Brake Caliper Decals. 2 X LARGE DECALS (for front calipers). 2 X SMALL DECALS (for rear calipers). GLOSS WHITE. HIGH TEMPERATURE VINYL. Vinyl is heat resistant to 100 Degrees Celsius. AUSTRALIA WIDE. Kindly Note: Our photos are taken from the actual product. 12mm Double Pinstripe Pin Stripe 4mm 2mm Vinyl Tape Decal Sticker. One roll pinstripe vinyl decals. Cannot stick on matte wrap surface. Backed with self adhesive for easy repositioning or remove without residue. 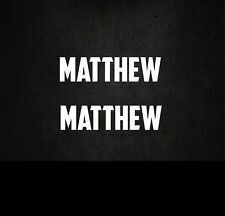 Package: 1pc 100cm x 30cm Light Black Headlight Tint Film Sticker if you want Dark Black,pls click this ebay link https://www.ebay.com.au/itm/123589568281 if you want Matte Black ,pls click this ebay link https://www.ebay.com.au/itm/113248637951 Specifications Condition Brand New Material: PVC.Glossy Finish Color:Light Black Description. 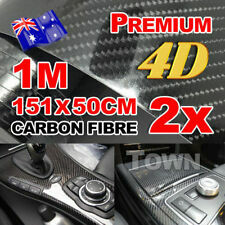 3D Black Carbon Fiber Fibre Car Vinyl Wrap Decal Stickers Film 1.5Mx30CM 60"x12"
Hot Sold..TOP Quality, NSW Dispatch, Local Warranty..
5D Gloss Black Carbon Fiber 50 x 151cm Vinyl. 1 x 5D Carbon Fiber Sticker (151 x 50cm). - Size: 151 x 50cm. - Looks & Feels Similar or Better than Carbon Fibre Bonnet and Hard-top. 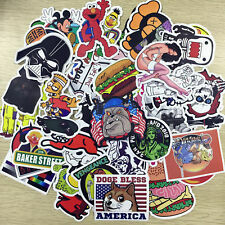 Car Phone Laptop Wrap Sticker Film. Vinyl Film Car Wrapping Film Sticker Decal Sheet Descriptions: 100% Satisfaction & Quality Guaranteed Self-adhesive back with slideable and repositionable pressure-activated adhesive Will not fade, crack, chip or peel. Long life with excellent durability Stands up against water, dirt, grease, salt, mild acids and oil. High performance and easy application. 1 x Vinyl safety cutter. 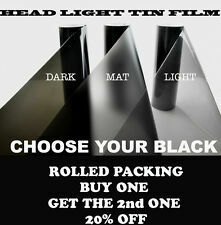 Product: Vinyl film installing Tool kit. The future of complete customisation is here. These are the films used by professionals, not the cheap ones that are widely available. Just apply heat to the vinyl to smooth out any creases and fold marks. 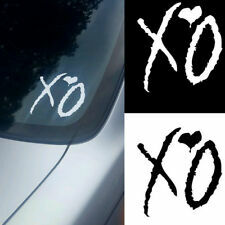 Bumper sticker , made in Australia , very high quality vinyl used , buy with confidence. Australian Standards AS 4001 – 2 Class 1 -----DO NOT OVERTAKE TURNING VEHICLE Sign Manufactured for M W Centre Pty Ltd in Sydney. Made of 3M High Intensity Prismatic retro Reflective Sheeting 3901 Yellow (Product of Singapore). Clear bra Vinyl Film Protection your vehicles paint finish , Provide a layer of protection against rocks and debrics ,bug acids and weathering Materials: High flexible polymeric PVC film Color: Clear Feature: - High stretchable ability - Can be cleaned with detergent and water - Durable - Scratch Resistant - Resistant To Solvents - Easy Cleaning & Maintenance - Stylish - Can Stick Anywhere Used :ALL part of Cars & Vans, Trucks, Motorhome Durability :Outdoor 2-3 years, Indoor 5-7 years Note: . 4x BREMBO Caliper Decal. @ Steezy_Print. Made In Australia. W ater and fade proof. Made from qualityvinyl. 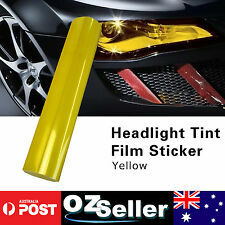 Package: 1pc 120cm x 30cm Light Black Headlight Tint Film Sticker if you want Dark Black,pls click this ebay link https://www.ebay.com.au/itm/123589568282 if you want Matte Black ,pls click this ebay link https://www.ebay.com.au/itm/113683915899? Specifications Condition Brand New Material: PVC.Glossy Finish Color:Light Black Description. Style: 200 different styles ! Random styles. Sun protection and Waterproof ! Clean then surface ,then sticker on ,Use your imagination to create works. We will answer or help you to solve the problems as soon as we can. 4x Porsche Caliper Decal. @ Steezy_Print. Made In Australia. W ater and fade proof. Made from qualityvinyl. BABY GROOT ON BOARD Sticker 155mm. Design Baby Groot. Size 155mm x 105mm. The next layer is the sticker itself. As you can see in the diagram the sticker consists only of the logo itself, there is no background or clear area around it. Description: 1. This product is 100% brand new. 2. Rapid Release adhesive. 3. Can be heated by hair dryer orprofessional heat gun for more flexible and stretchable. 4. UV resistant. 5. Durable material resistant to water, dirt and oil. 6. Easy cleaned with water and soap. 7. 3D textured finish (feel the weave) unlike the cheap carbon printed patterns. 8. Protect original paint underneath from chips, scratches. 9. Removable will not harm the surface. Other colors & sizes pls check our store or contact us directly! Thank you. Brand Unbranded/Generic Manufacturer Part Number Does not apply UPC Does not apply. IMPORTANT- Default COLOUR INMATTE BLACK., IF DIFFERENT COLOUR IS NOT REQUESTED. W ater and fade proof. Made from qualityvinyl. We will try our best to provide the photos that show the color as close as original. We will try to response you within 24 hours. Material： PVC. All the size has been stated in the details. DO NOT KNOCK Funny Cat sticker for your front door. Easy to use, simply peel and apply to any non-porous, clean, flat surface. 1 x 3D Black Diagonal Sheet ( 127CM x 1M ). 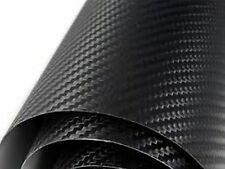 3D Carbon Fiber Vinyl Film Diagonal Roll Sheet. Sizes are available to wrap dash parts, mirrors, trim or the whole exterior of the vehicle. The material can be used on the interior or exterior of any smooth surface on your vehicle. Size: Front - 2 of 105 mm x 25 mm. Rear - 2 of 80 mm x 19 mm. 95 mm x 22 mm. 75 mm x 18 mm. 85 mm x 20 mm. 65 mm x 15 mm. Fade proof for 3 to 5 years. Easy to install. They can be replaced anywhere and are removable. Make your car stand out and be instantly recognizable! Size: 145 x 25mm. 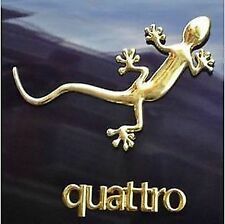 For car logo decoration(Car logo is not included). Adhesive back, just peel and stick. Color: Silver. 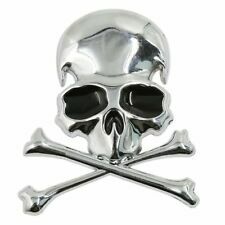 Travel Accessories |Ties |Outdoors |Health & Beauty |Car Accessories. Car Accessories. We will try our best to solve the problem.